President Dwight D. Eisenhower, or "Ike," was at the center of world events in the middle of the 20th century as the general leading the greatest invasion in history during World War II and as a two-term president during the Cold War with the former Soviet Union. In both roles he was respected for his ability to get disparate personalities to work together for common goals. 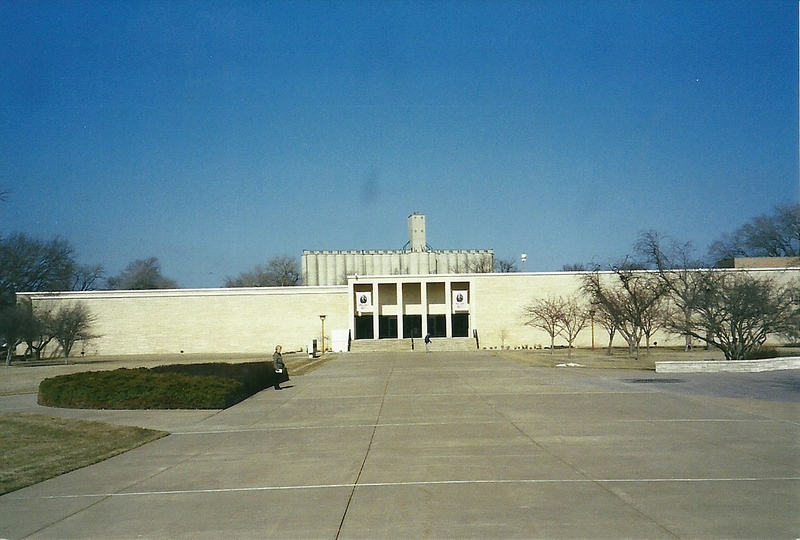 The story of these major contributions is told at the Eisenhower Museum in Abilene, Kan. 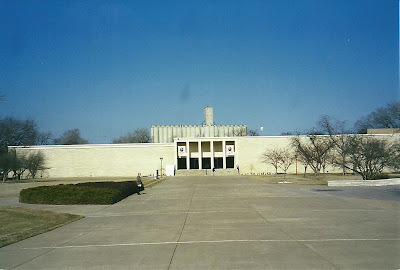 The museum includes a complex of buildings such as the original Eisenhower home, a visitors center, a magnificent library and a contemplation center. The exhibits begin in a low-key fashion. First we are given the family history with the emphasis on the six brothers being raised in an atmosphere of love coupled with religious training and discipline. That there must have been something exceptional happening in the home is shown by later pictures of five highly successful Eisenhower brothers. In Eisenhower’s early life, he was an average student mostly interested in sports. At West Point he was in the middle of the class, but as his career developed he began to show his potential to become distinctive. By the time he went to the advanced officer-training program at Leavenworth, Kan., he was at the top of his class. He took the opportunity to work under and learn from the best officers available: Fox Conner in the tank corps and Douglas MacArthur in a wide range of situations. Chief of Staff George Marshall was impressed with his work. 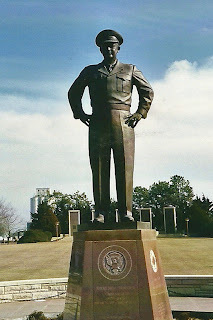 Although Ike was a major for 16 years, with World War II his promotions came fast, and he was jumped in rank over many officers senior to him. When we visited the museum, a special exhibit of Eisenhower’s paintings was featured. He started painting late in his life, mainly as a form of relaxation, and destroyed or gave away most of his work to friends. He and Winston Churchill, who also painted for relaxation, encouraged each other, and Ike arranged for Churchill’s first large exhibition of paintings. In another area, a television documentary focused on the life of Ike’s wife, Mamie, including an interview with Barbara Walters. Mamie’s dresses and pictures portraying her lifestyle were on display. A history of Ike’s contributions to our success in World War II followed, with copious photos, uniforms, videos, pictures and dioramas of the action he saw during the war. Some pieces of war equipment are on display to enhance the atmosphere, including the car he used during the war. Up to this point the whole atmosphere had been rather sedate, almost reverent. Then, sound and moving pictures suddenly assailed us as we entered the area that covers his years as president. From overhead came recordings of Eisenhower on the campaign trail, and then a brief history of his life after the war as president of Columbia University and later commander of NATO. The period is covered by television shows from the era, room décor and stories of his being a reluctant candidate sought by both parties. Cold War problems are represented by displays covering the U2 spy plane incident, problems with Fidel Castro and Cuba, and the ending of the Korean War. We are reminded he governed in a period when it was felt an atomic bomb attack could come at any time. To emphasize that point, there are videos of children learning to hide under their desks and cover their heads in case of an attack. The negative events during his tenure are covered. This includes his role in establishing the shah in control in Iran, his lack of confrontation with Sen. Joseph McCarthy and his weak stand on civil rights. At the reproduction of his office, recordings of events that happened there are played. He had a heart attack in 1955 but ran for a second term anyway. He had a stroke in 1957, partly caused by the fact he smoked, had a diet with too much fat and was overworked. Some recordings after he left the presidency feature his talks with John F. Kennedy and Lyndon Johnson about problems they were having. One of Ike’s definitions seen hanging a wall tells much about how he worked: "Leadership: The art of getting someone else to do something you want done because he wants to do it." I am fond of presidential museums and believe they should be a must see for high school students to immerse them in our history, its important people and the decisions they made that affect our lives. Our own Truman Library and Museum in Independence does an excellent job of this, and many students in Columbia have been introduced to historically significant events there.